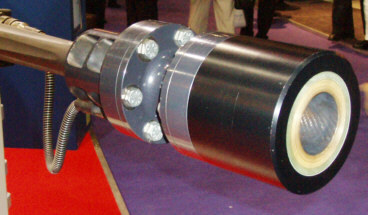 This is a photo gallery of some of the more interesting items spotted at the Defence Systems Exhibition International at the Excel exhibition centre in London's Docklands, 13-16 September 2005. It is shorter than the 2005 report on this website, simply because it focuses mainly on new items rather than repeat visits. The Steyr AUG A3 is shown on the right, the HK 416 in long and short versions below. 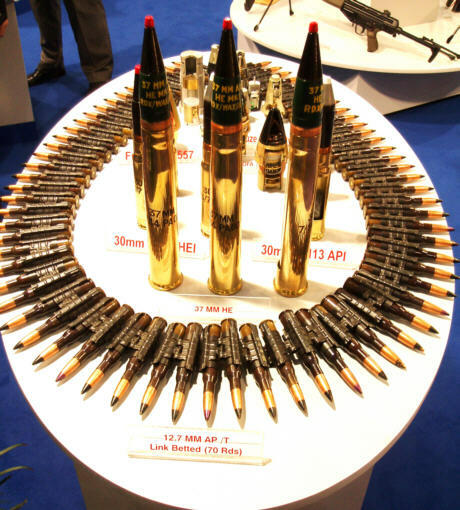 Both guns will reportedly be offered in 6.8x43 Rem SPC if there is a demand for that. 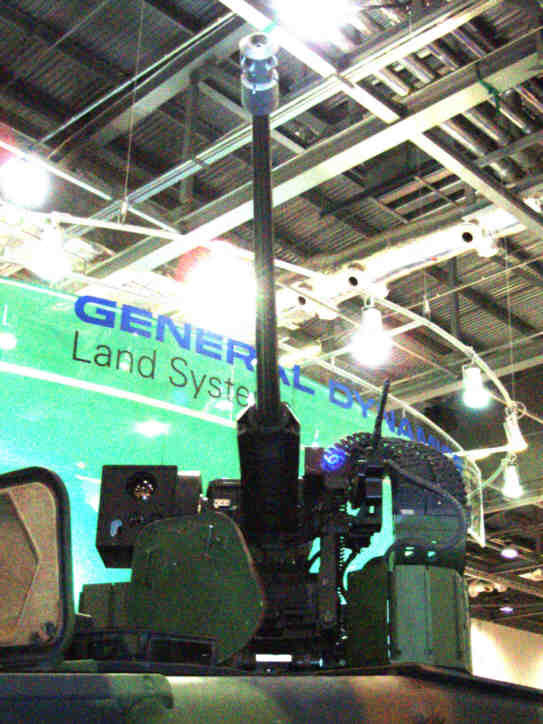 First, for army vehicles, the current fashion for remotely-controlled overhead mountings: a GD Piranha IV sporting an Elbit ORCWS with a 30 mm Bushmaster II (left), and an uparmoured FV 432 mounting a Rafael RWS, also with a 30 mm gun (below ). 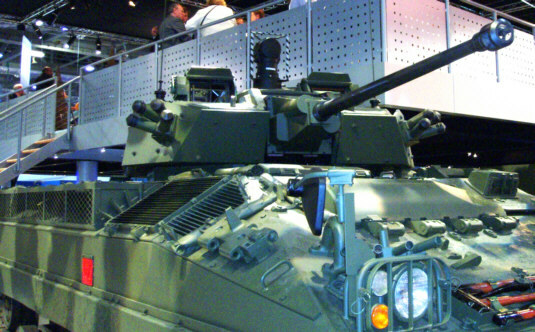 Next, the 40mm CTA remains in development, with a manned turret shown on a Warrior (left below) next to the unmanned one for the French. 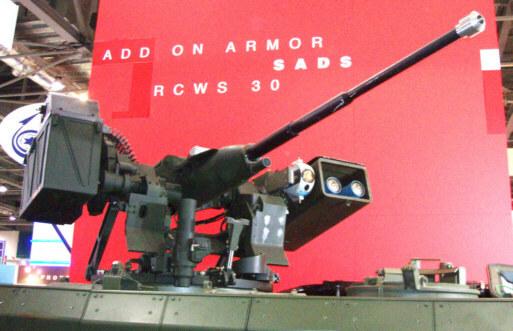 British Army trials of the rearmed Warrior are due to start next year. 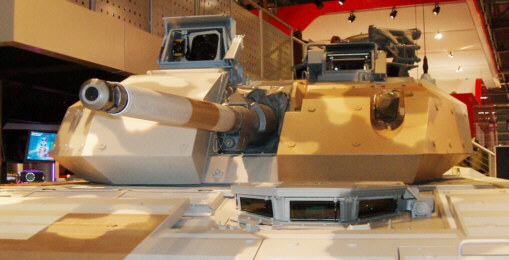 Below is the CV9030, with a close up of its muzzle brake. A couple of shots of the new British DS 30 Mk 2 mounting, selected to replace the Mk 1. 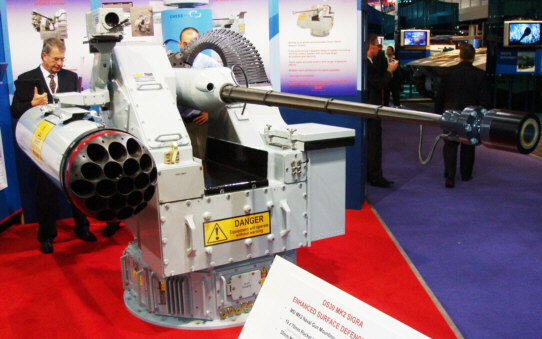 Most obvious difference is the replacement of the Oerlikon KCB (30x170 ammo) with the MK 44 (Bushmaster II - 30x173), mainly I suspect because of the range of new ammo being developed for the 30x173, which is rapidly eclipsing its step-brother. 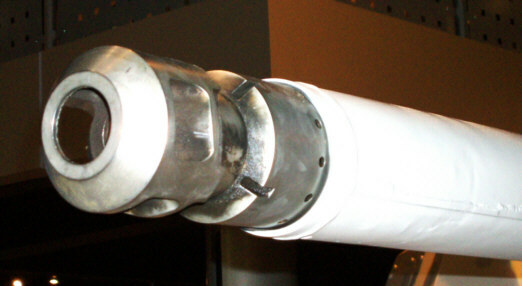 Among the ammo types will be HEAB, so here's another pic of the fuze setter on the muzzle. 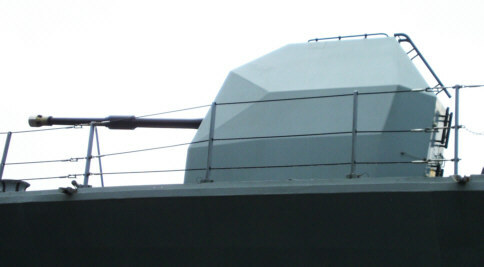 The mounting will also be remotely-controlled (a growing trend - the gunner sits below playing 'computer games' with a day/night video screen for sighting and a joystick for aiming). 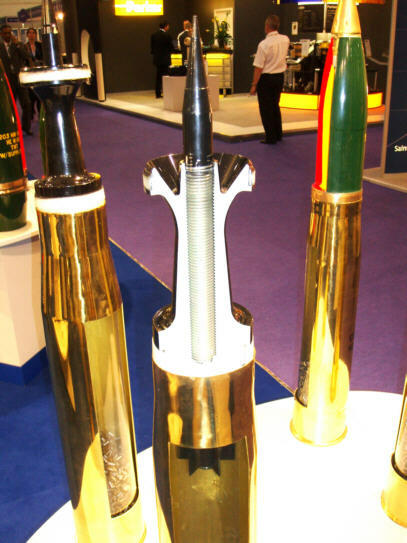 The rocket pod is unfortunately unlikely to feature on the RN's mountings - I'm sure the gunners would love to play with it! 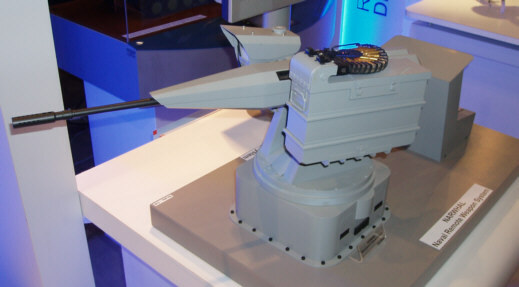 The other mounting shown is a model of the new GIAT Narwhal, also remotely-controlled and suitable for 20mm, 25mm and 30x113B guns. 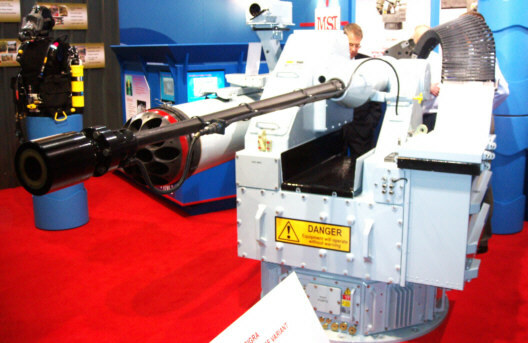 It is likely to be adopted by the French Navy in 20x139 (20M693) as they already use this calibre. 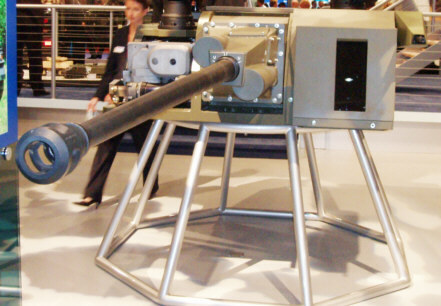 Rather similar in concept to the German Navy's Mauser MLG 27, although with less hitting power. 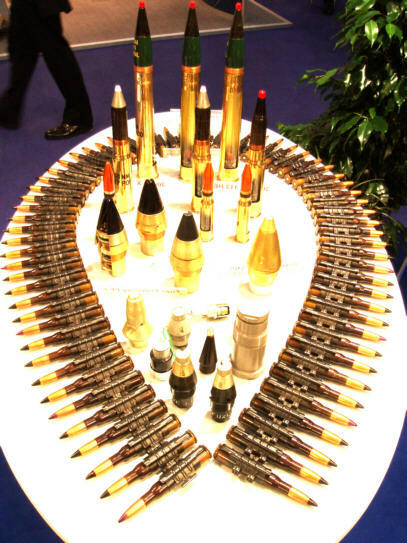 Starting with my favourite display of the show - from Arsenal of Bulgaria. Wouldn't I just love this board hanging on the wall of my study! 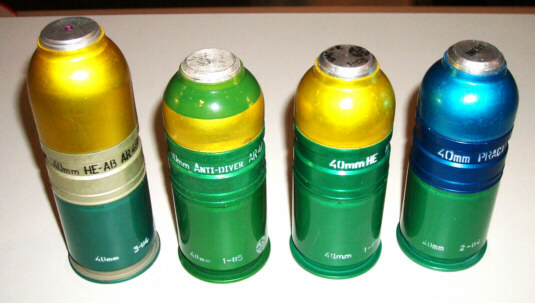 Apart from the small arms on the left, we have (above right) two 40mm LV grenades and three of the caseless Russian VOG 40mm grenades, all beautifully sectioned. 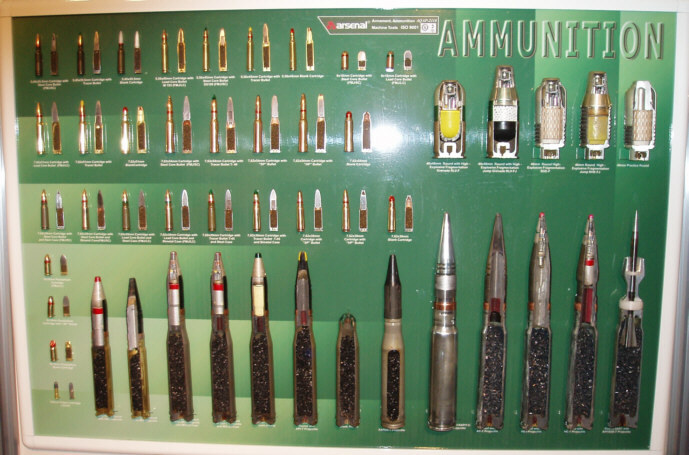 There's a 23x152B APDS at the bottom, and a nice line in 30x165 including a sectioned APFSDS - something the Russians aren't yet making, AFAIK. Nest comes a nice little line of 40mm LV grenades from Arcus, also of Bulgaria. 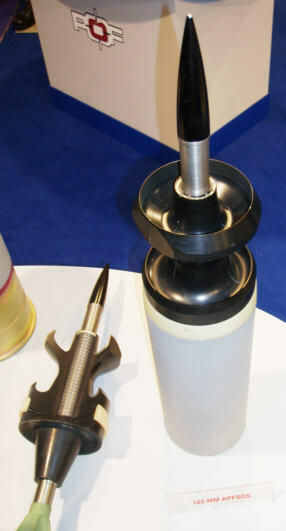 These are (from left to right): an airburst round, an 'Anti-Diver' round with a hydrostatic fuze for sorting out frogmen (claimed 10m effective radius), and two conventional rounds - HE and practice. Ingenious people, these Bulgarians.